Jon and Michele are two of the most contagiously positive people we've ever met. 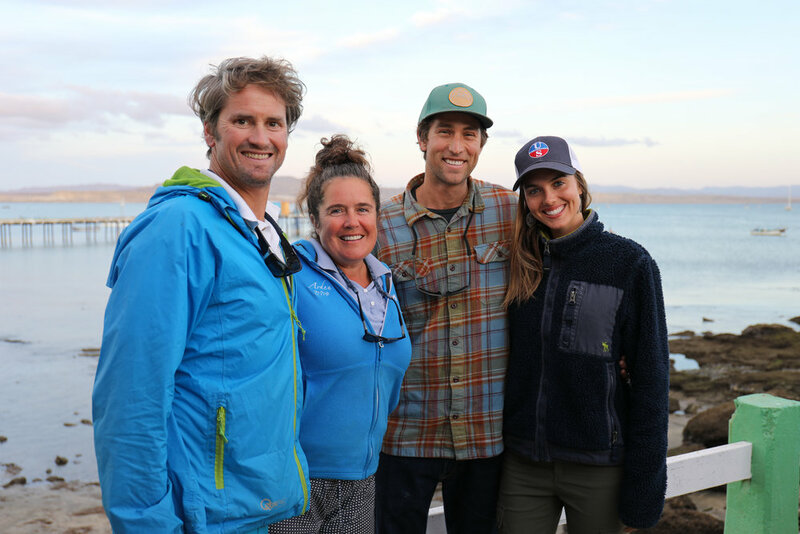 We first met this couple in Ensenada after a rough overnight passage from San Diego, and we continued to meet up with them as we sailed down Baja, getting to know them better over the few weeks we spent in Mazatlan. Michele is truly determined, a woman who makes dreams happen! A few years ago, she told a friend that in five years time she planned on sailing around the world with the love of her life. At the time, she wasn't in a relationship, nor did she own a boat, and yet five years later here she is sailing south towards the Galapagos with Jon, the love of her life! Jon is brilliant and a jack of all trades. He is humble and passionate, and the way he loves Michele is beautiful. Their relationship is inspiring enough, but their journey to get here has been nothing short of Herculean. It started with a notebook titled the '27 Month Plan', detailing the steps they needed to check off to sell their home in Seattle, move aboard Ardea and hit the open seas. They sold their house, their cars and most of their worldly possessions, downsizing their life on to their 44ft sailboat. During that time they were both working full time, as well as refitting their boat for cruising in what little spare time they had. A year before leaving, Michele was in a sailing accident while racing and sustained a brain injury, but in true form she persevered. Then, five months before leaving, Jon went in for a routine physical before they would leave the country, when the doctor found a life threatening heart issue. Not only did these two have to deal with the emotional aspect of saying goodbye to everyone and everything they knew, but they had to overcome the fears that came along with the diagnosis. Most people would put their dreams on hold. Most people would let fear, doubt and excuses get in the way, but these two... these two amazing souls love life too much to put things on hold. They are true fighters and each day no matter what life throws at them, they put on a huge smile and set to work making a plan! They have shown us how positivity, dedication and a whole lot of love can make a hard situation into a truly beautiful opportunity. Follow along on their journey @ardeafish, CallalooBlue.com and their Facebook page, American Expat Ambassadors for Peace. Adrea (Ardea herodias is the Latin name for the great blue heron) is 1984, 44' Beneteau Idylle. They departed from Seattle in June 2016, sailing up through the inside passage to Alaska, then down the Pacific to Mexico. Ardea is currently in Mazatlan rebuilding their engine before sailing south toward the Galapagos, Ecuador.